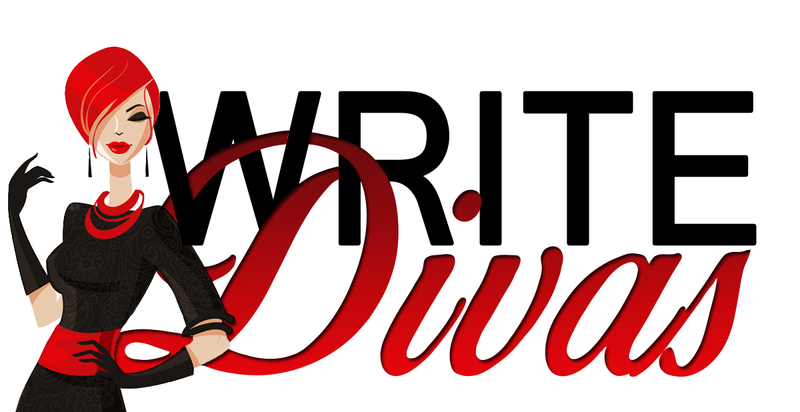 I challenged the divas to give me their personal picks for favorite book they read in 2013. With so many books and even less time to read, this was a difficult task. I wasn’t just looking for good book recommendations. I wanted their favorite, the book that stood out to them above everything else they’d read that year. It didn’t matter when the book was published, because let’s face it. With the advent of the e-reader, out of print books are finding new audiences. It was a tough job, but as always, the divas pulled through. Oliver Bishop is having a seriously bad day. With one diagnosis, his life suddenly has an expiration date. Confused about the numbness he has to the idea of it, he unwittingly puts himself directly in the sights of a girl that just may give him a reason to fight – and to live. Amber L. Johnson has a talent for telling a story. I’ve have been a reader of her fanfiction for years and always loved her realness and humor especially when writing about difficult topics like in Where We Fell. For only a eighty-three page book, Johnson crafted a well thought out story from beginning to end. I inhaled this in about three hours and only wished when there was more. The story is about Oliver, a newly diagnosed cancer patient, who meets a very unlikely friend at just the right time. Hannah is so funny and a ball of fire in this book. I loved her. She was the perfect balance to Olivers seriousness. What I really enjoyed about this book is that we didn’t go in mega depth about Oliver’s cancer and treatment. It was touched on but the real story was between Oliver and Hannah. You got lost in the characters, not the cancer. Never did I think Oliver would succomb to his cancer becuase Hannah’s positive attitude carried through to the reader so well. This book was a breath of fresh air to read on a rainy day. 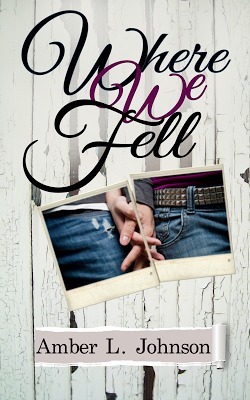 It’s a perfect book for the YA crowd as well as New Adult and romance readers. I suggest you read anything by Johnson because I know I will be great. 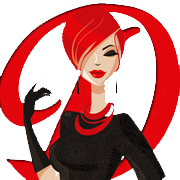 So, Diva Janine challenged us to pick our favorite book for 2013. It didn’t have to be published in 2013, just something I read this year. The challenge for me was choosing one book because there were several that stood out this year. Some were short, some were long, and they spanned the genres from Young Adult to Erotica. Because of that span, it was really hard to pick a favorite. Do I choose the one that made me laugh, the one that made me cry, or the one that made my heart whole? Ultimately, it was none of the above. Because the one I chose did a little bit of all of that, plus it left the most lasting impression of everything I’ve read this year. I chose Adam’s Apple by Liv Morris. The story revolves around Adam Kingsley, a complete and utter jerk who is self-absorbed and apathetic to the world going on around him–unless there’s something in it for him. And I loved him from page one. The thing is… he knows what a jerk he is, but it doesn’t stop him. He takes what he wants and makes no apologies for it. Until Kathryn Delcour walks into the room and takes over his every thought, and slowly his perception of himself—his needs, his success, his life—all begin to change. And it happens so slowly that you can almost see each individual realization as it occurs to him. But the best part was that this change occurs over a matter of days. Kathryn is, by far, one of the strongest, most well-written characters I have read in a long time. While the women in his life are ready to drop everything for Adam, Kathryn consistently puts him in his place, forcing him to face his shortcomings. She’s an enigma to him, appearing unmoved by his charm and looks, yet there’s something there. The growth of their relationship is honest and realistic, though quick. Yes, lots of lust and desire, but you can almost feel their affection grow with the turn of each page. Why did this book leave such a lasting impression with me? First and foremost, I was amazed by the author’s ability to tell the story from the male point of view. Not just any male or—God forbid—a watered-down, totally feminine, written-by-a-woman male, but an honest-to-goodness, conceited and shallow jerk who finds himself at a loss over a woman who doesn’t bend to his will. He’s written so realistically that the reader can almost believe that his life is full and complete the way he describes it. Secondly, I enjoyed the contrast between the short amount of time Adam and Kathryn actually spend together—it really is only a matter of days—and how slowly his transformation occurs. Since they spend every minute of those days together, the time seems to go so much slower, allowing the reader to see each change in Adam as it occurs. I found this fascinating. Additionally, I love a strong female protagonist. And Kathryn is all that and more. Overall, I loved the writing, the dialogue, the secondary characters, the humor, and so many other things, but it’s the well-written male protagonist, the contrast of a slow change happening over a short period of time, and a strong female protagonist that put Adam’s Apple at the top of my list for 2013. I’ve read a number of books in 2013 — not all of them good and not all of them bad. 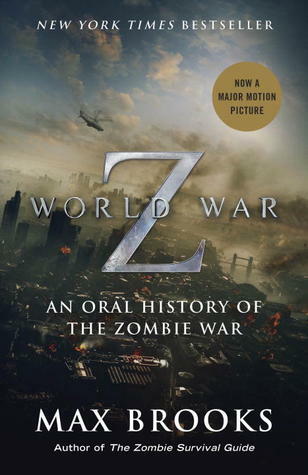 However the book that still stands out as my favorite this past year is World War Z by Max Brooks. Now I will state emphatically that… I. Do. Not. Like. Zombies. I mean it! Nothing creeps me out more or gives me nightmares quicker than the undead, which is sad with all the great zombie movies out there. So for reasons I could not fathom, I bought World War Z last spring — the actual book, mind you, not an e-book to be forgotten on my e-reader. World War Z is a record of the Zombie War that almost wipe-out the human race. Told via a series of interviews of those who witnessed the chaos, fought in the trenches, and survived to tell their stories ten years later. It is a riveting account that left no stone unturned, no scenario untouched. This is a well-executed and thought-out book, which appealed to my scientific side that craves exploring every scenario. I particularly enjoyed how Brooks gave us a realistic view of what would happen to the world if the walking dead were a reality and how the living would react upon first hearing the news. How many of us would actually believe that zombies were real? How many governments would take the threat seriously if someone tried to raise the alarm? And how many mistakes and lives would be lost before we started to get something right? It is a chilling tale. And while it does highlight mankind’s dependence on technology and the belief that our government will bail us out, these are the issues that cripple mankind in the fight against the zombies. Eventually the living figure out a better way to fight, but not before they are brought to the brink of near extinction and the loss of most of the civilized world. What is left is a planet that is a mere shadow of what it once was and yet not all the changes are negative. I particularly enjoyed the socio-economic shift of the United States. The prize jobs went to the blue-collar workers with the skills to rebuild a country while the white-collar workers with little skill outside the boardroom became the janitors and labor crews in the war against the zombies. It’s almost enough for me to hone the skills I learned growing up on a farm… Maybe I’ll take up welding as a hobby. 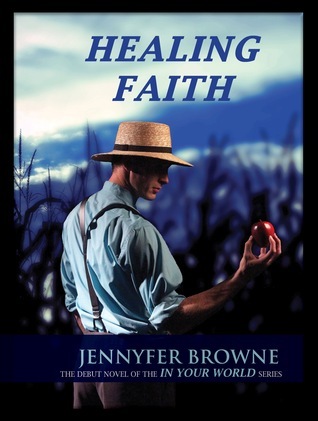 My choice for the book of the year is Healing Faith by Jennyfer Browne. This is a different take on the Amish genre. It’s not your typical Amish romance, too spicy for that, and it doesn’t fit in the Christian romance category as most books of its type do. Healing Faith is a refreshing story. It’s low on the preaching and high on lifestyle and beautiful characterizations. The story had an overwhelming amount of tenderness that just bleeds through the pages. Kate and Nathan are from two different worlds. Her’s is modern and full of pain–from an abusive boyfriend to an oblivious father. Nathan lives a simple life, a peaceful life, but he is overwhelmed by loss and heartbreak. When Kate flees her abusive boyfriend, she ends up in the last place he’ll look, and it is there she meets the man who just may be the other half of her soul. This is not just a beautiful romance, but it is a story about triumph and a love that conquers all. It’s everything I love in a good romance. The peek into a culture that is far removed from my own was just a bonus. Healing Faith is the first book in a two book series and frankly, I can’t wait to read more of Nathan and Kate’s story. So there you have it. What book is your pick for favorite book of 2013? Please leave a comment and let the Divas know. We’re always on the lookout for a good book to read! I’m honored to have Adam’s Apple included on this list of Best Reads. Thanks Jen!